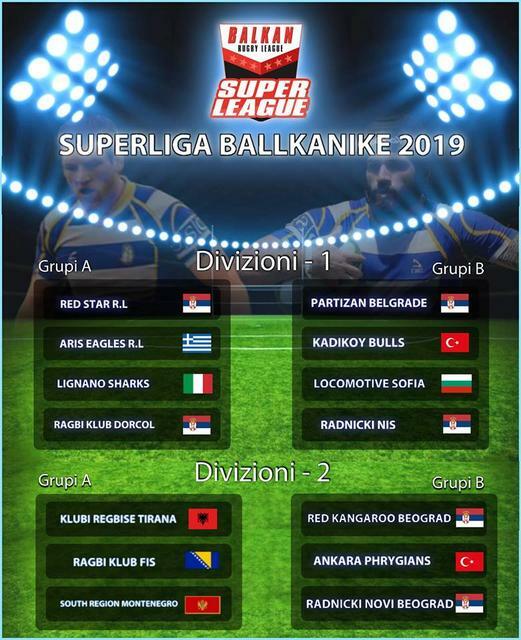 An italian team confirmed in the new edition of the Balkan Super Liga; Lignano is a touristic town on the Adriatic sea, near Trieste, on the north-eastern corner of the nation. If I'm not wrong five of the six serbian clubs are from Belgrade! Why wouldn’t they have Wales playing in Wales or at least Bristol? Makes no sense. That is a very good question, a lot of people are asking why Bristol or the South West was missed out. they were sold out the last time there was tests there. Personally if I was Rugby League I would make the effort in the South West they would get strong interest. Look, let’s be honest, Northern England is the best chance for the tournament to succeed. Although I am beyond shocked Wigan is not on that list. From what I’ve read the target is 750,000 tickets sold, but it’s really hard for me to see that happening considering they’ve expanded the competition, meaning there won’t been any meaningful matches until the semi-finals. Disagree there. Jamaica playing in London and Wales closer to Cardiff seem like two obvious improvements. I still think it's weird they went with Bolton when Wigan is a short drive away. Stadiums are about the same size. What are the attendances like in this Balkan Super Liga? grande wrote: What are the attendances like in this Balkan Super Liga? Next to zero, they stream games on Facebook and there is literally zero crowd. Makes me wonder when they actually got rid of the "real" scrum. Looks like a proper one collapsing in this vid. I did a you tube search and it seems the scrum was still in use up until the early 80's in the proper format. it seems referees just never enforced RL after that date as afterwards you only see the scrum as we see it today barely touching. New York and Ottawa bids approved by RFL clubs. This year probably championship of Russia will not be . This spring in my district - Medvedkovo 9x9 tournaments rugby league are held. Stadium of school № 290. 10 minutes walk from my home in Moscow.